Craft Classic Half Marathon & 5k | Green Flash Brewing Co. 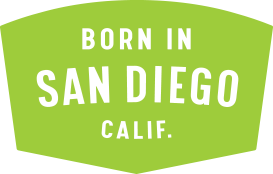 Craft Classic Half Marathon and 5k – Green Flash Brewing Co.
Green Flash is proud to be the official beer partner and Presenting Sponsor of the 2018 San Diego Road Runner Sports Craft Classic Half Marathon and 5k on Sunday, October 21. Green Flash will provide all adults (21 years of age and older) a free craft beer at the finish line. In addition to the sponsorship, Green Flash will be creating a special release beer specifically for race day. Stay tuned! Not sure whether you’re ready to sign up yet? Join us for the last Craft Classic Social Run on Wednesday, June 28 at 5:30 p.m. at Green Flash. Check-in with Road Runner Sports reps begins at 5:30pm and the run begins at 6pm p.m. This is an UNSUPPORTED 3-mile long social run and you can run at your own pace. This means no fluid stations (once you leave Green Flash! ), no pacers, no mile markers, and no parking/traffic assistance. This is not a race, just a social run. Adidas Running will be on site with demo shoes and brand ambassadors to help you boost your run. *This social run is FREE* and you can reserve your spot here https://www.eventbrite.com/e/craft-classic-social-runs-tickets-32340321773?aff=eac2. Finish at Green Flash where you have earned your beer! Maybe then you’ll have some inspiration and you can register for the race through a Road Runner Sports representative on site. Parking is available at Green Flash, on the surrounding streets, and the adjacent parking lot.